Single girder cranes are the most cost effective purchase for capacities up to 15 tons and 20 to 80 ft. spans. Reduced wheel loads combined with very low headroom standard hoists or Classic Hoist provide outstanding value.Single Beam E.O.T. Cranes are designed for shifting, loading or unloading purpose whereas its the most economical solution for simple handling operations in every direction of Shed. Pillars & Wall Mounted Jib Cranes is directly available at workplace where a worker can lift, quickly transport & precisely deposit all kinds of work pieces. 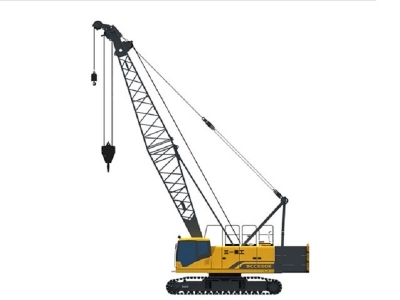 Usually these cranes are used where other materials handling equipments can’t be used for any structural reasons, These are completely free standing workplace cranes & can be used for outdoor storage yards & loading ramps. Load capacities up to 5,000 kg. Electric Wire Rope Hoist is the industrial device that use wire rope to lift and move a load. National Hoist saves your labour cost and enhance production and also decreases your production, storage and handling cost by easy loading, unloading and movement of material in workshops. Lifting capacities of Hoist range from 250 kg to 20 Ton capacity.